We are trained in Carpet Cleaning & Tile and Grout cleaning to the IICRC Certification Standard, we have been operating since 2009 and specialise in Carpet Steam Cleaning in All of Perths WA Metro Suburbs. We have invested in the latest technology and equipment; With our Truck Mounted Carpet Steam Cleaner, we get more heat, and vacuum power, leaving your carpets Dryer & Cleaner. Now you have found What Mess? Cleaning Services to professionally clean your carpets there is no need to look any further. 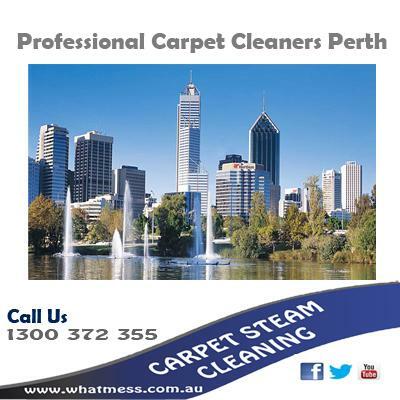 You won’t find a more professionally operated carpet cleaning company in Perth WA. We might look like the big buys however we a small enough to care, from the time you first contact us until we have professionally cleaned your carpets, we will keep in contact with you via an booking confirmation email, with the date and time of your booking, then a sms reminder hours before your appointment is due, to a sms message letting you know we are on our way to your job with an estimate time of arrival. Plus we will then follow up within a few days to make sure you are 100% happy with our workmanship. Who else does that?